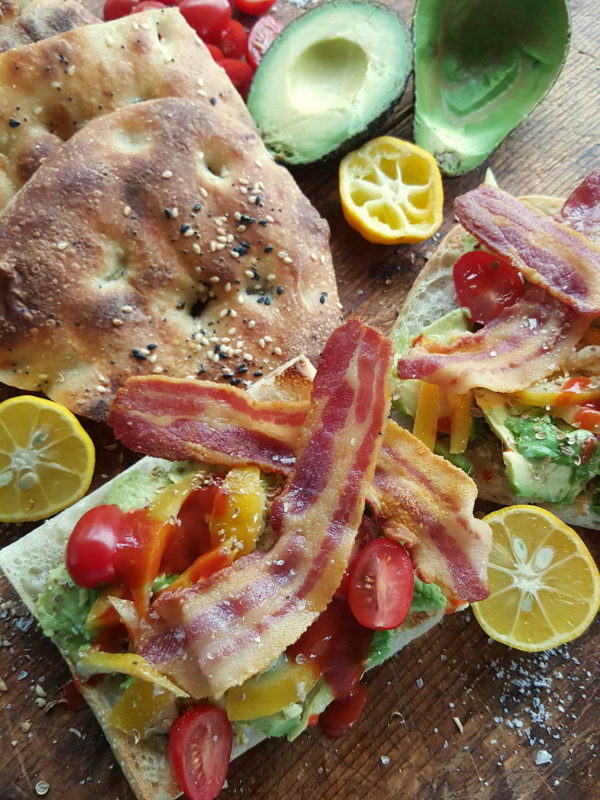 Avocado and bacon is always a winner but adding squeeze of lemon or lime and a dollop or two of hot sauce or salsa makes it even tastier. You can make this for as many people as you like. A regular pide cut into 3 pieces, and each piece split through the middle, makes 6 slices. 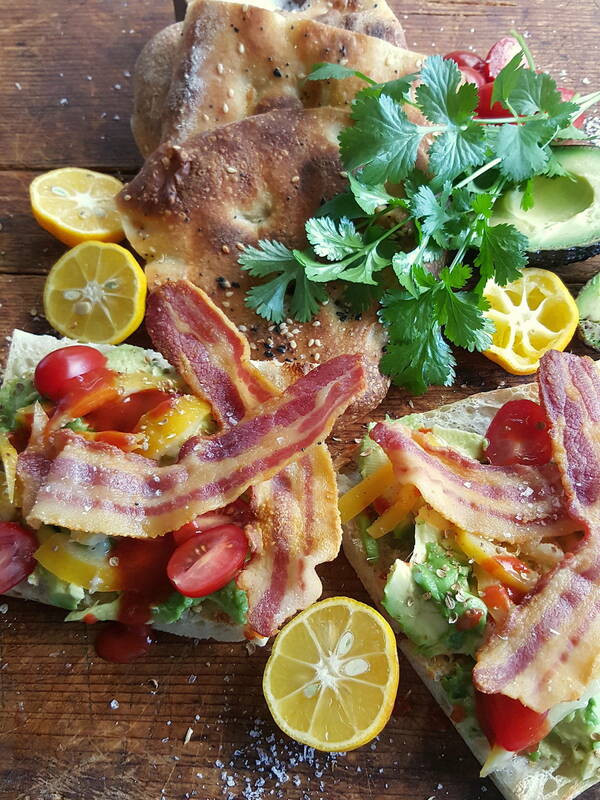 Allow ½ an avocado, 3-4 cherry tomatoes, a couple of rashers of bacon and 2 slices of pide bread per person. 1 Rinse preserved lemon under running water and dislodge flesh. Dry rind with paper towels and slice. Grill or fry bacon. Cut pide loaf into 3 pieces, and split each through the middle. Toast or grill pide. 2 To assemble, cut avocados in half, scoop out flesh and spread on pide. Squeeze lime or lemon over avocado and season with a little salt. Top with preserved lemon. Scatter lightly with coriander, cumin or dukkah. Top with tomatoes and add a good squirt or two of sriracha sauce. Garnish with bacon and fresh coriander and serve.